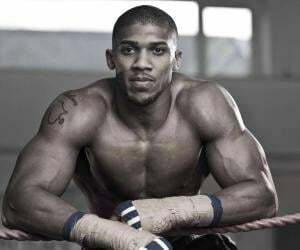 Anthony Oluwafemi Olaseni Joshua is a British professional boxer. Check out this biography to know about his birthday, childhood, family life, achievements and fun facts about him. Anthony Oluwafemi Olaseni Joshua is a British professional boxer and a unified world heavyweight champion. He has successfully represented Britain at the Olympics, Commonwealth Games, and several other international sporting events. Initially a footballer and athlete, Joshua entered the boxing bandwagon only in his late teens. 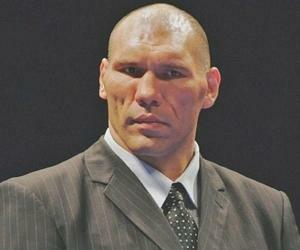 He slowly transformed from a troubled teenager to a heavyweight professional. His physical prowess ensured that he had an exemplary record and went undefeated during his amateur career. His bagged the gold medal at the 2012 London Olympics. His astonishing move up from the amateur ranks to world championships has earned him the status of a powerful puncher and a top-class opponent. Among the six heavyweight belts in the world, Joshua has successfully conquered four to his name and was the contender for the BBC sports personality of the year. 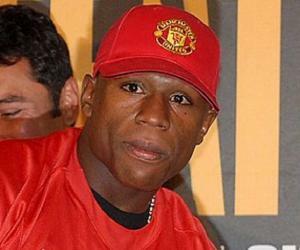 He holds a reputation to fight in high-profiles matches with expensive stakes and drawing record breaking views and audiences. 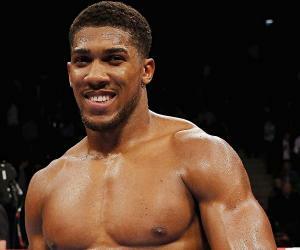 Anthony Joshua was born to Robert and Yeta Joshua on 15 October, 1989 in Watford, Hertfordshire. He spent most of his childhood at his ancestral home in Nigeria. He was five years old when his parents split, and his mother decided to move back. He returned to Watford to attend Kings Langley Secondary School. He was nicknamed 'Femi' by his friends and teachers because of his middle name 'Oluwafemi'. He excelled at football and athletics while growing up and showed great promise as a sprinter when he broke the 100m record where he completed the run in 11.6 seconds. Before being absorbed by boxing, he worked as a bricklayer. His cousin, Ben Lleyemi, took him to the Finchley Amateur Boxing Club in Barnet. This proved to be a turning point as he soon began training as a boxer here. Anthony Joshua won the Haringey Boxing Cup for two straight years in 2009 and 2010. His twenties were a roaring success as he won all 18 fights at the Amateur level. This included winning the Senior ABA Championships. He turned down the offer of £50,000 to turn professional. In the European Amateur Boxing Championships in June 2011, he defeated Eric Berechlin and Chathal McMonagle. He was however interrupted by the Romanian Mihai Nistor. He was part of the GB Boxing Team and soon won the GB Amateur Boxing Championships. His performance in the World Amateur Boxing Championships in 2011 earned him a spot at the 2012 Olympic Games. He held an amateur record of 40-3 and was accorded the title of Amateur Boxer of the Year by the Boxing Writers Club of Great Britain in 2011. Though a novice internationally, his first appearance at the London Olympics was sealed with a gold medal in 2012 when he defeated Italy’s Roberto Cammarelle in the super heavyweight division. He made his professional debut under Matchroom Sport in October 2013. In the next three years, he remained undefeated in all his 19 fights. He earned his WBC International Heavyweight title when he was 24. He went on to defeat Gary Cornish to win the Commonwealth heavyweight title in 2015. He later defended this title when he won, albeit with some hiccups, against Dillian Whyte. He then defeated the IBF heavyweight champion Charles Martin in 2016 to win his first world title. In order to defend this title, he fought against Dominic Breazeale and won. In what became his second defense of his IBF title, he was up against Eric Molina in 2017. Joshua continued his winning streak and the average view of his matches kept increasing. Joshua’s match with Klitschko was the most important fight he faced. Klitschko was a boxing royalty who had lost only 3 of his professional matches. His undefeated recorded in front of his home crowd was at stake for Joshua. The match went on to 11 rounds before Joshua won. A rematch was expected between Klitschko and him, but Klitschko announced on 3 August 2017 that he would be retiring from boxing, thus ending the speculation of another match. Anthony Joshua was next scheduled to fight Kubrat Pulev to defend his WBA title. However, Pulev was replaced by Carlos Takam due to injuries. This caused an uproar as over 70,000 tickets were already sold. However, fans thronged the stadium on the day of fight to witness Joshua successfully defend his title. He would next fight Joseph Parker for his highest career pay of £18 million. The fight was scheduled on 8 January 2018 at the Principality Stadium in Cardiff. In what was a dramatic fight, Joshua successfully claimed the WBO title. He also retained his WBA, IBF, and IBO belts. He was made the Member of the Order of the British Empire (MBE) in 2013. This was in recognition for his services to boxing for his home country. Anthony Joshua has a son, Joseph Bayley Temiloluwa Prince Joshua, with his on-and-off girlfriend, Nicole Osborne, a pole dancing teacher whom he knows from school. They share the responsibilities of Joseph together. The boxer Amir Khan accused Joshua of being involved with his ex-wife, Farval Makhdoom. Joshua denied the rumor and claimed that he had not even met Farval. He has had a couple of skirmishes with law. He was first arrested for fighting and was remanded in Reading prison in 2007; later, he was arrested for possession of cannabis with intent to supply in March 2011. He escaped a jail sentence and was sentenced to a 12-month community order and 100 hours' unpaid work. He currently lives with his mother in her council flat. He has professed a fondness for playing chess and reading and has remarked that they improve his boxing abilities. Watford has a gold postbox in honor of him. The Royal Mail installed this as a mark of his victory in the 2012 Olympics. He has a tattoo of the African continent inked on his right arm. Nigeria, the country of his parents, has been outlined to stand out. He has a Black Card from Nando’s, a popular restaurant, which allows the holder and his friends to free meals at Nando’s for a year. Other card holders include Ed Sheeran and David Beckham. He was won the IBF, IBO, WBO, and WBA heavyweight titles and has constantly defended them victoriously, too. 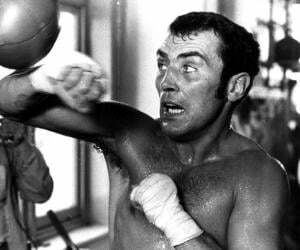 He also won the vacant British heavyweight and Commonwealth heavyweight titles. He has invested in a members-only fitness gym along with the founders of BXR. The gym, located on Chiltern Street in London, opened in January 2017. The gym offers state-of-the-art training facilities along with the best coaches, equipment, and trainers.